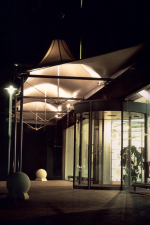 Following the successful completion of the College’s Science Centre in Stevenage, AD Architects were appointed to increase public awareness of the Arts Campus, and this was achieved with the striking use of tensile fabric structures to create a new landmark pedestrian entrance, leading to a new reception and exhibition gallery. 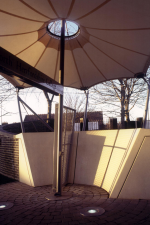 The Centre for the Arts project received a Chilterns Buildings Design Award. 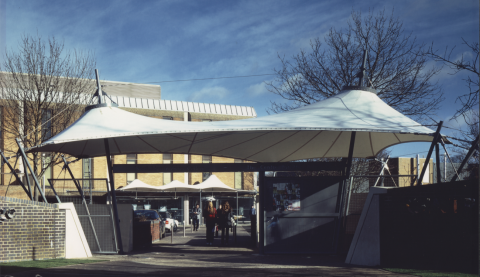 This was a precursor to the campus’ refurbishment programme, using the Skills Funding Agency’s Renewal Grant initiative.